When your commercial space has this many windows, heat and glare can become a problem. 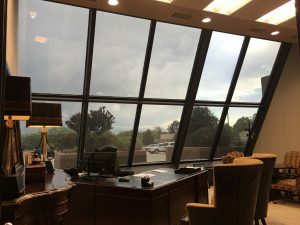 However, you do not want to take away from the terrific views from the offices that all this glass provides. 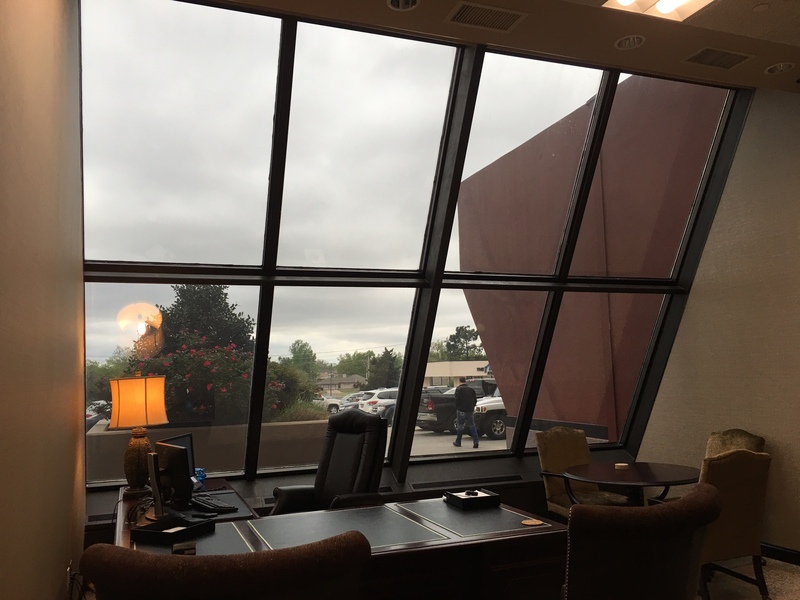 The team at Adams Window Tinting was called in to recommend solutions to control heat and glare in this building without negatively impacting the looks or the view. 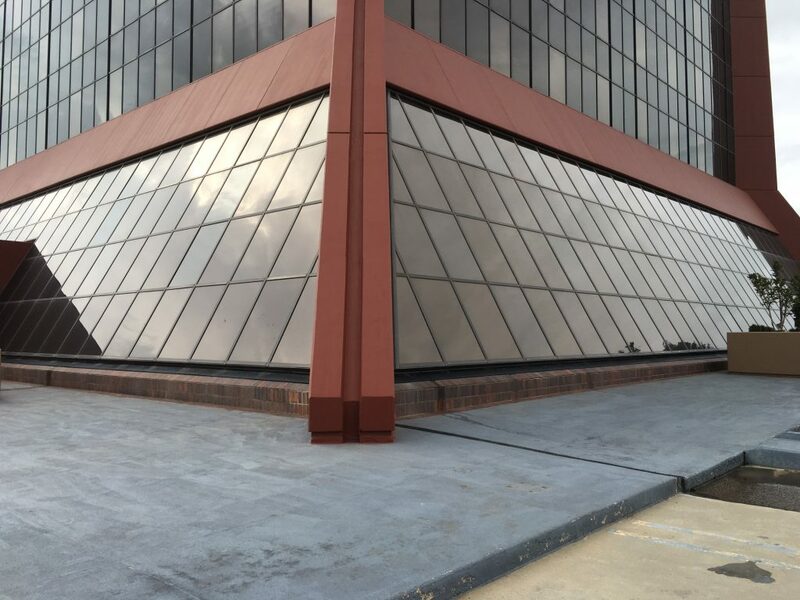 We implemented a window film solution from Huper Optik called Ceramic 30%. This film enabled us to significantly reduce the heat and glare and maintain the look and feel the client was looking for. Adams Window Tinting is the only Huper Optik authorized installer in the Oklahoma City area. Make sure you are getting the best. 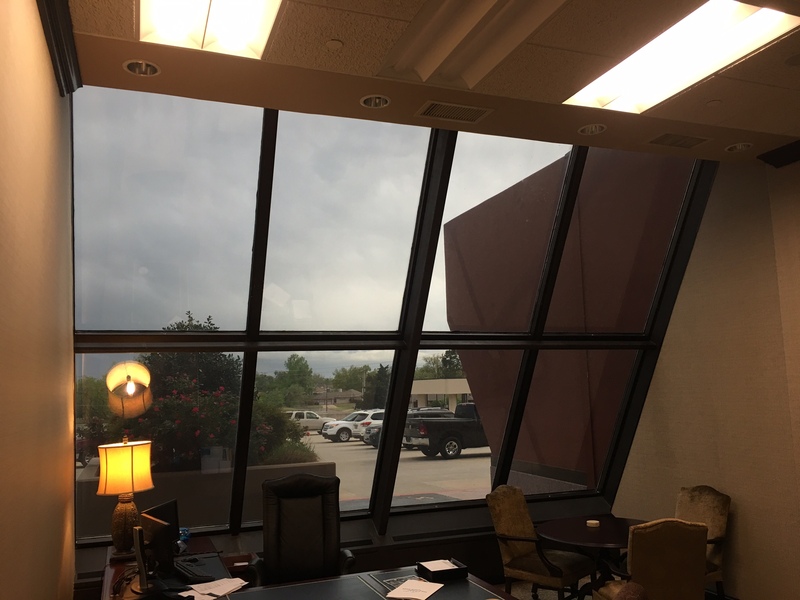 Contact us today at (405) 787-6798 to find out how window film can help save energy, reduce heat, cut glare and the nearly eliminate the harmful UV rays that cause fading from coming through your windows while maintaining your view. We would be happy to provide you with a completely free, no obligation assessment and estimate of implementing a window tinting solution on your home or office project.